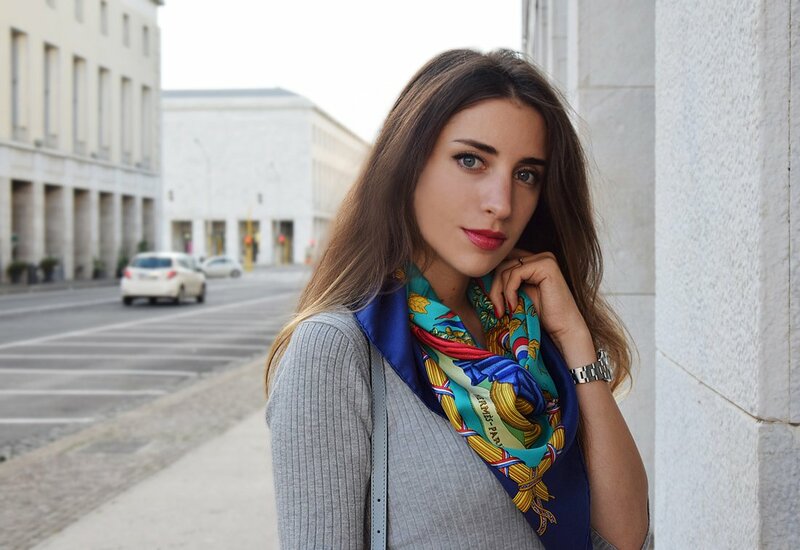 The Hermes Foulard is a fashion item that I’ve always considered as a must have. Every girl and woman at some point needs one of her life wants to buy it. I’m in the Eur quarter of Rome, which is modern and almost total white. While the rest of Rome is ancient, this area is very different in architecture and colors. I bought this foulard almost two years ago, but I didn’t include it earlier in one of my outfits. Unbelievable, right? I’m wearing a Michael Kors bag, I’ve been obsessed with it lately. 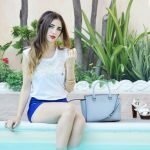 This Michael Kors bag has a light shade of blue, so I thought it would be perfect for this outfit. That foulard makes the entire look so good 🙂 So lovely! Your scarf is amazing – so luxe! 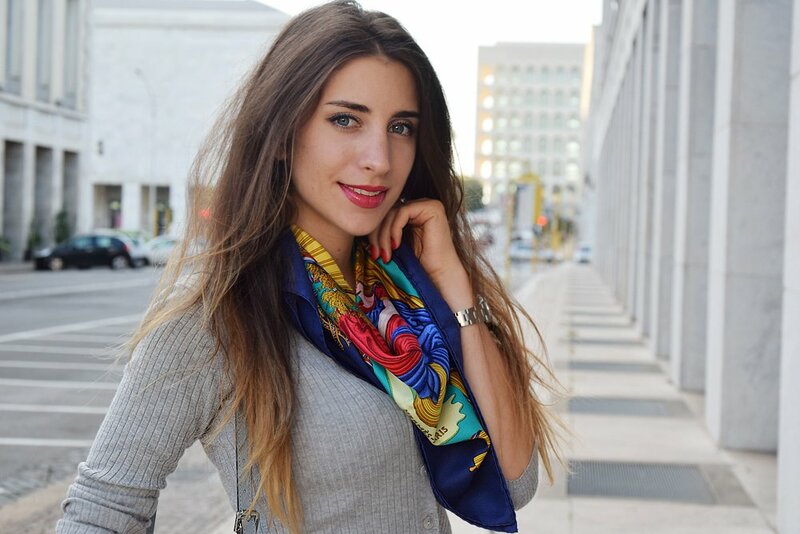 Alessia – that Hermes scarf is so beautiful. You paired it so nicely with the Michael Kors bag. 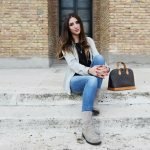 This is such a casual chic outfit…I love it! Hope you have a wonderful week! 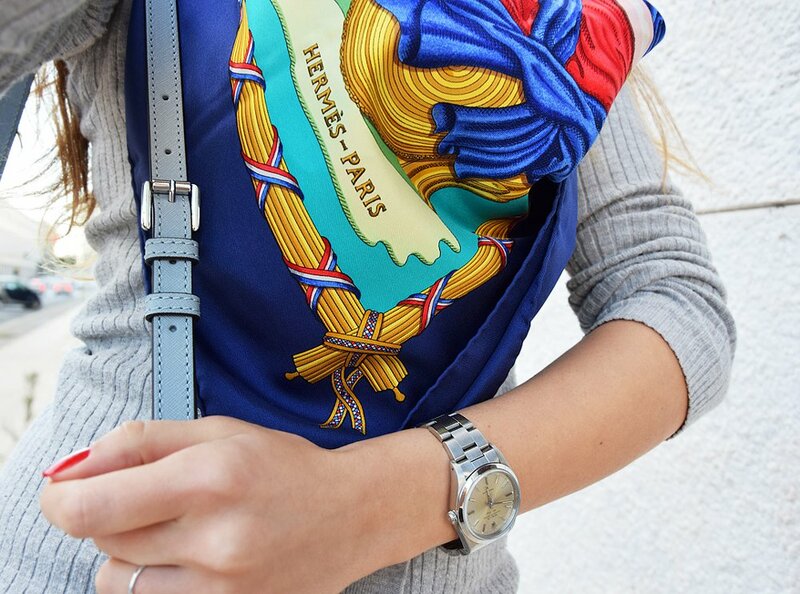 Nice scarf, Hermes is the best!